The Latitude 64/Dynamic Poly-Tech Zip is possibly the pinnacle of outer layers in disc golf. Your outer layer is your first line of defense again the elements and should be matched for whatever weather you might be facing such as wind, rain, snow, etc. You need to take into account the fact that if moisture or wind can get through your outer layer then it is going to reach your insulation layer. This will lead to your feeling cold. Inversely if you have an outer layer that does not allow moisture to escape then your insulating layer will get soaked as you sweat. Did you ever wear a big yellow raincoat as a kid? You might recall getting really hot in it. That was because a 100% waterproof jacket with no ventilation (under flaps on the back or in the armpits for example) does not breath and if moisture cannot get in then it probably cannot get out either. Just keep it in mind. 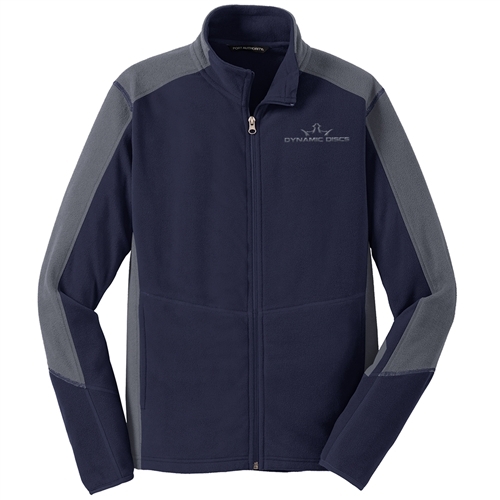 For wet days that are not terribly cold, a very light rain jacket is a great choice to keep you dry. 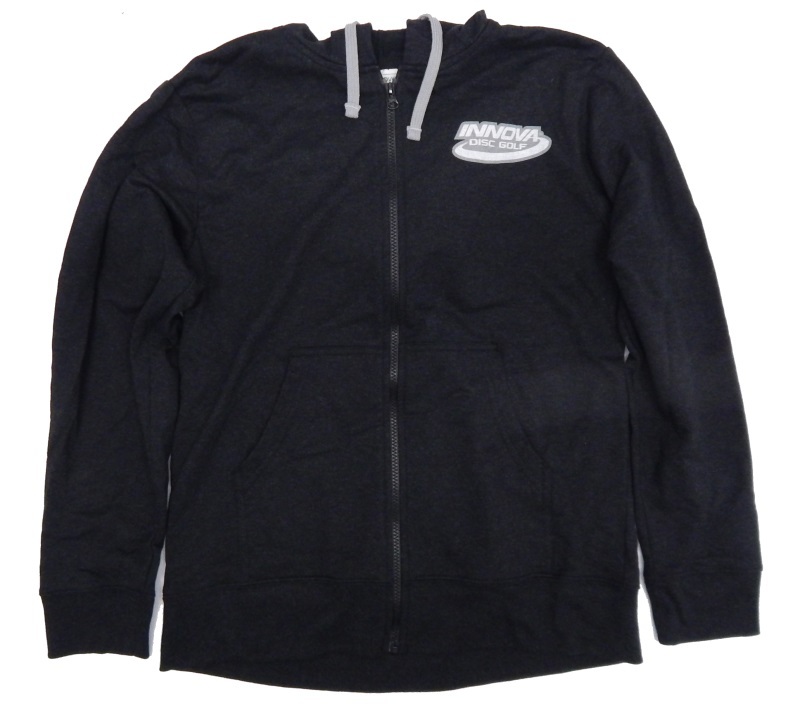 The Recover Brand Full Zip hoodie from Innova is super soft inside. It sips on and off with very little effort. If you are going in and out of the shade or up and down hills (change in temperature and/or aerobic activity) you might want to consider something with a zipper such as the Innova Air Force Zip which will let you air condition yourself quickly. 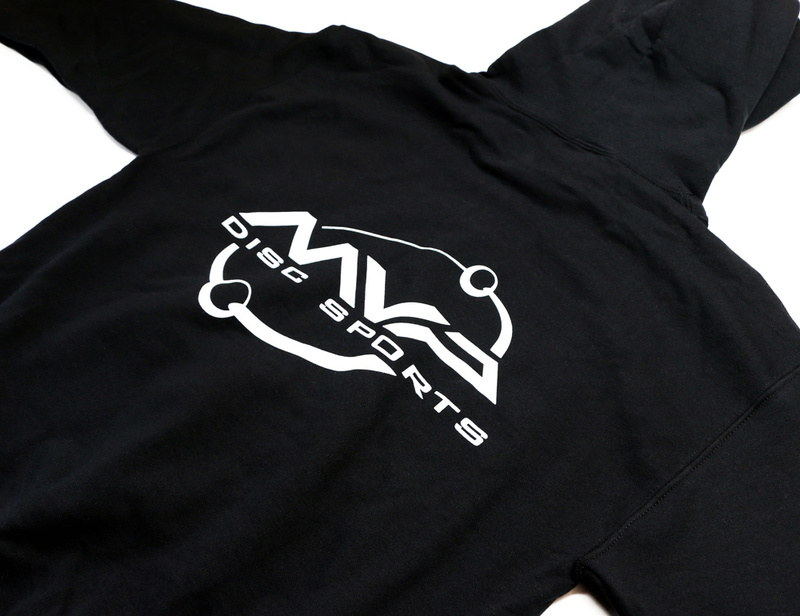 If not, there is a similar pullover version from Innova as well as a very popular cotton pullover MVP Hoodie. 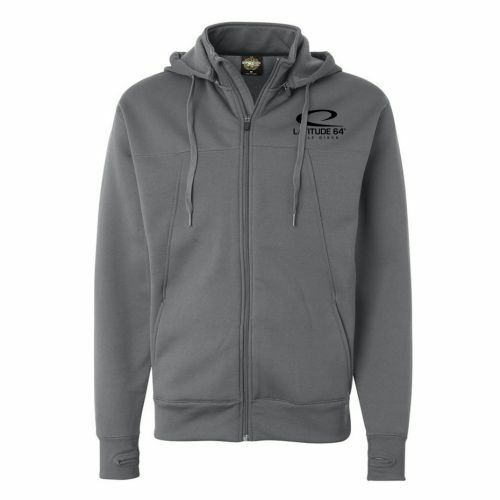 The best thing I have seen with a disc golf logo on it is the Poly-Tech Zip Hooded Jacket from both Latitude 64 & Dynamic Discs. It is 100% polyester, wind-fighting, and breathable. Stack this with a good base & insulating layer and you should be able to get through and reasonably cold round of disc golf. Even the cuffs on this item hold snugly but not tightly. It is also super soft on the inside so feel free to wear it all by itself. – Everything about this one is excellent. Conclusion: Well now you know the basics of layering. Having the right discs in the right bag is about 50% of having a successful round of disc golf. If you’re not dressed properly it’s like pairing a great car with low grade fuel. Make sure to know the weather and know your gear. – Time to Layer Up!